The next day after auntie left, while we were having lunch, a visitor came. Luckily, we met once and I still remember him, or the story won’t happen. Greg has also volunteered at Sunny Guesthouse in the past, for almost three months altogether. 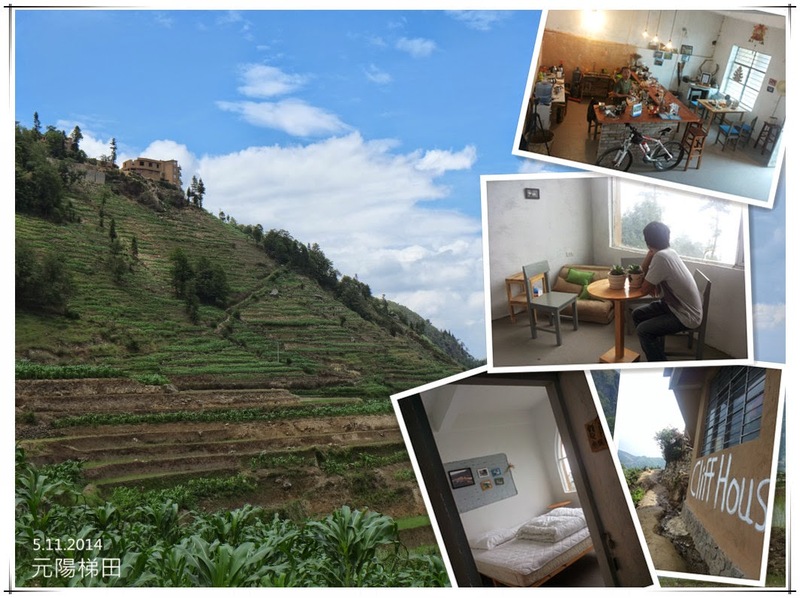 Later on, he started his own guesthouse at HuangCaoLing village, 800m from the DuoYiShu viewing deck. 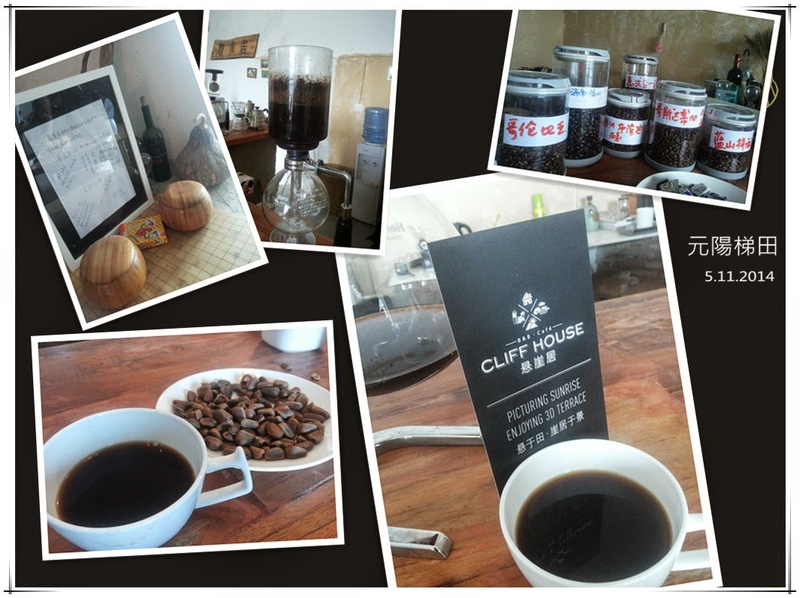 A while ago, in an afternoon when there were no customers, uncle Tong suggested that we go to the Cliff House for coffee. Unfortunately, Greg was not there when we arrived but we met him on our way out. That was when we met for one second. Greg decided to take a break and go home during this low season. He came to say bye but ended up seeing us only. We heard that he has coffee at Cliff House, so asked him if we can go. So, we went there shortly after, and went again on the next day, taking a different road, walking along the terraces, climbing up a very steep path. We have not had a cup of good coffee for a long time!! 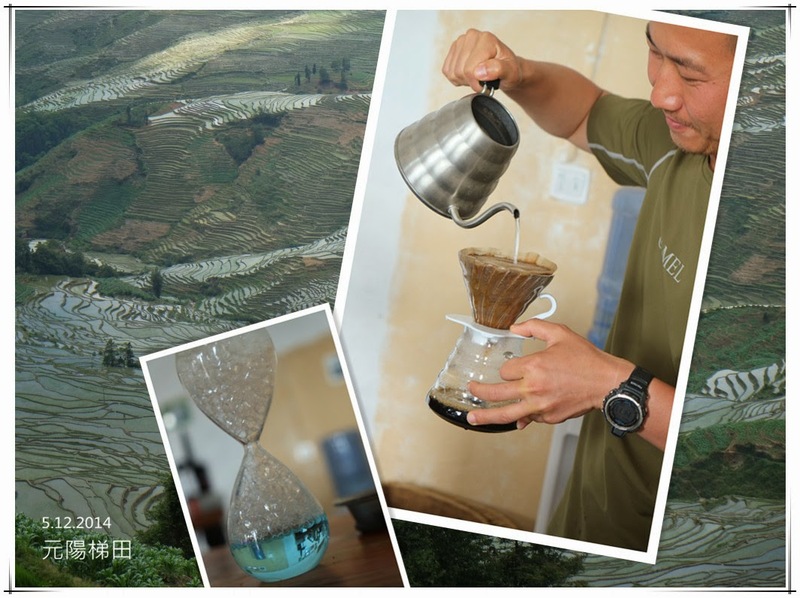 To our surprise, Greg made us siphon and hand drip coffee, we were so impressed and touched by the coffee!! The Cliff House was only opened last Oct, we come to know that auntie and uncle Tong have not come after it has opened (last time we all missed it), so, we took a tour of the guesthouse. The Cliff House by its name is located right on a cliff. 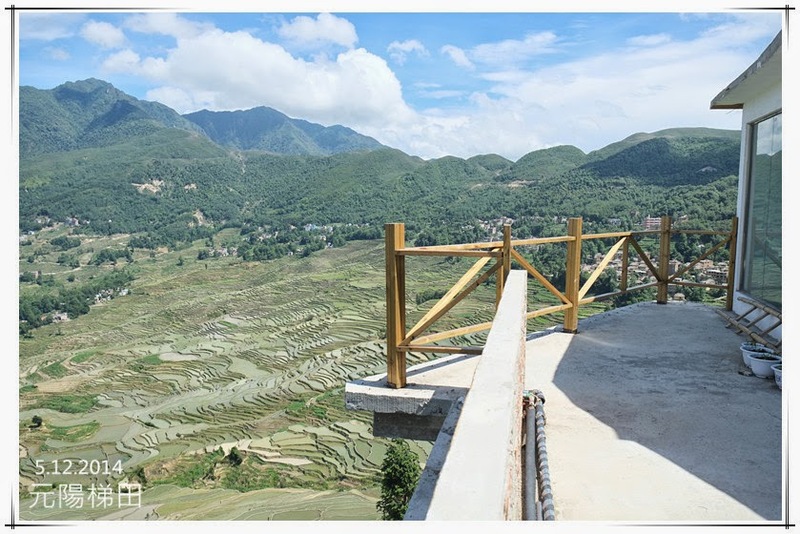 It has an over 180 degree view of the terraces, and can also see the sunrise. It is not so close to the terrace but you can see a bigger view, very nice too! There is no outdoor space at all, but their indoor decoration is very good, cozy and stylish. The Cliff House and the Sunny Guesthouse are two totally different styles and even their pricing and market strategy are totally different. On our first visit, we did not bring a camera, just taking some photos using our phone… while we were enjoying our coffee, it started raining, we felt that we’ll just wait for the rain to stop before we left…after a while, Greg asked us to come out, when we went out, we saw a rainbow below us, and hanging above the terrace, it was so stunning!!! 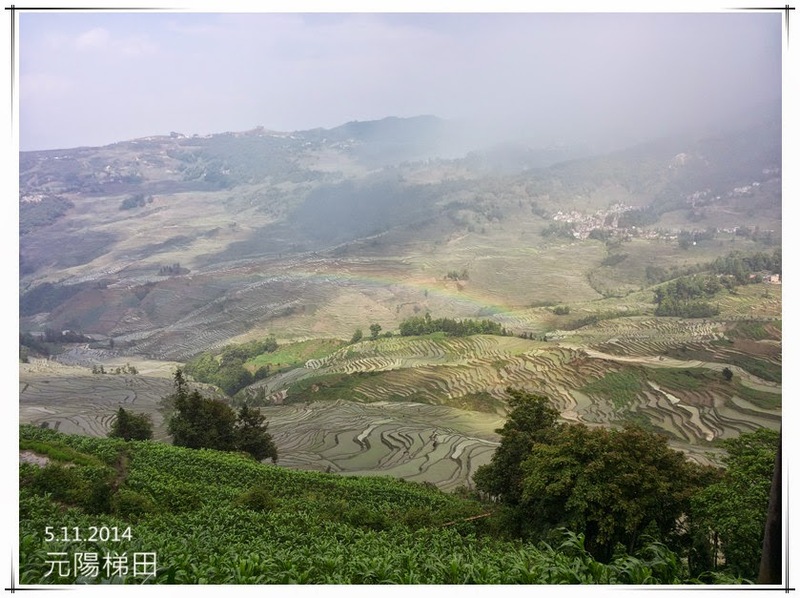 When the rainbow slowly fainted away, we saw the terraces in a splash of rainbow colours, this was amazing!! If the Cliff House is not going to close for vacation, I am sure we would be there every day for the rest of our stay here…. 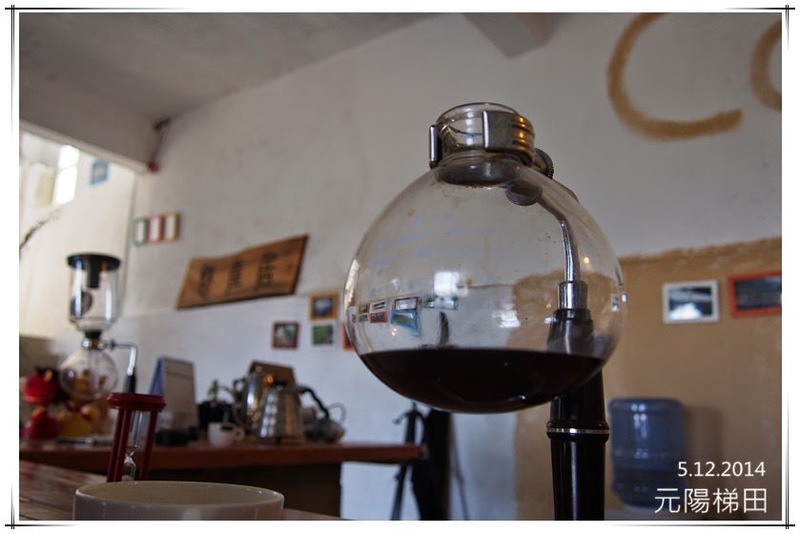 is this a new cafe in Yuanyang?